How cute is this toy?!? Right now on Amazon, you can get this Fisher-Price Think & Learn Rocktopus for Only $34.97 Shipped! (Reg. $60). Fisher-Price Think & Learn Rocktopus is a music-loving octopus who can’t wait to help your preschooler create awesome tunes and learn all about different instruments, patterns, counting skills, and more! 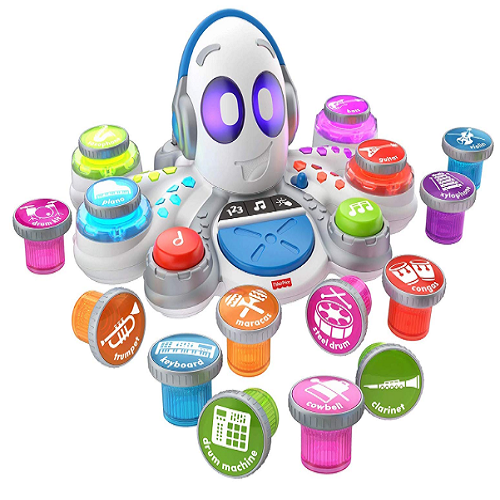 This rockin’ sea pal comes with five different musical styles and 15 different instruments for kids to mix, match, and rock.